One of the most important secrets of Soviet government was kept hidden in Samara until 1990. A dug-out for Joseph Stalin known as "Stalin's Bunker" was constructed there but never used. In 1942 Samara, 700 miles south-east of Moscow, was designated as the USSR’s second capital city, in case Moscow fell to the Nazis. 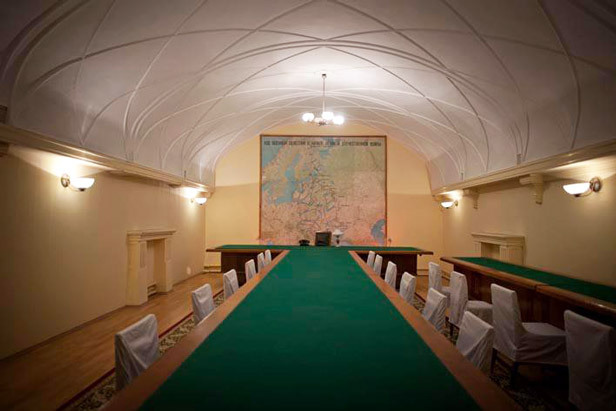 It was planned for Soviet government to use this bunker as its HQ. The bunker was built in nine months by a team of 800 engineers and 2,900 workers. It was declassified in 1990 and then turned into museum.